We are proud to offer clean, comfortable and affordable accommodation in a prime location with easy access to everything Sydney has to offer. Rooms at the hotel are based on share facilities. All individual bathrooms are located just outside each room. Our ratio is 27 rooms and 19 bathrooms. 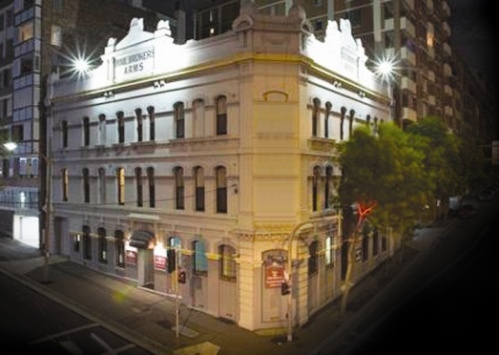 The Woolbrokers Hotel is within minutes walk to Paddy's Markets, the IMAX, Entertainment Centre, Maritime and Powerhouse Museum, Convention Centre, Exhibition Centre, Cockle Bay Wharf & King Street Wharf, Star City Casino and all the many restaurants and evening entertainment around the area. You can walk, take the monorail, light rail or bus to all major Sydney attractions. Great for independent travellers, families and groups. 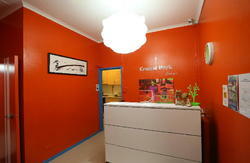 Ideal for those wanting to stay in comfortable accommodation close to all Sydney has to offer without breaking your budget. The Woolbrokers has been recommended in Frommers Guide books, and Lonely planet just to name a few. Stay with us and enjoy the traditional charm of The Woolbrokers Hotel and the friendly personal service from our attentive staff. PLEASE NOTE: Reception closes at 10PM. If you are planning on arriving after 10PM please contact us before booking to see if a late arrival is possible. A surcharge will apply. Buses 443 or 501 will take you to the cnr of Allen and Pyrmont Street.